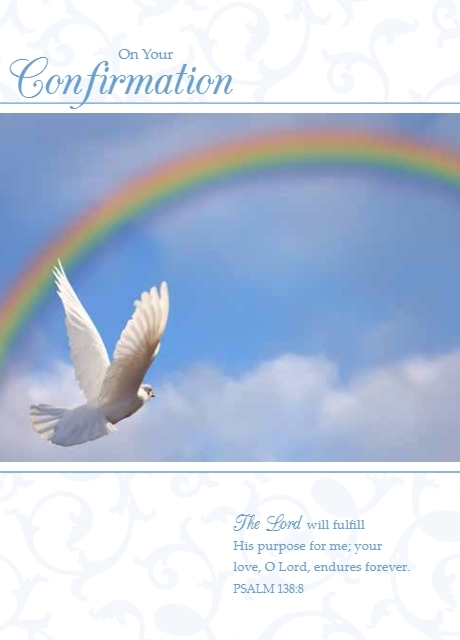 The On Your Confirmation Card features two important Christian symbols of redemption and new life: the rainbow and the white dove in flight. Speak scripture over your loved ones on this special day for the whole Church family. On Your Confirmation Single Card is published by Teal and is our 735th best seller. The ISBN for On Your Confirmation Single Card is ED50929A. Be the first to review On Your Confirmation Single Card! Got a question? No problem! Just click here to ask us about On Your Confirmation Single Card.